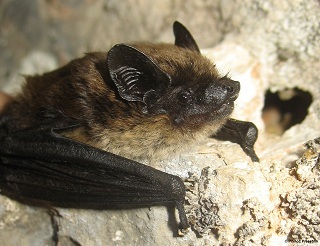 Savi's Pipistrelle is a bicoloured bat; its long dorsal fur is dark brown at its base and golden at the tips, and its ventral fur is mostly light. As for its ears, they are short, broad and black. This species inhabits both the coastal and mountainous habitats of the Mediterranean, including sparsely vegetated landscapes. H. savii roosts in tree holes and cliff crevices during summer, and can hibernate in underground sites during winter. Thanks to its quick flight at high altitude, Savi's Pipistrelle catches its prey exclusively in flight. Its diet consists mostly of cicadellids, moths, aphids and other insects. 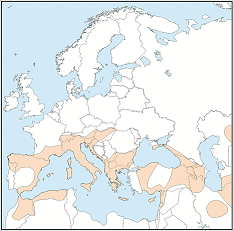 H. savii can be found throughout Mediterranean Europe. It also stretches to Asia Minor and the Middle East. There are no direct threats recognised, except the use of pesticides and building renovations.